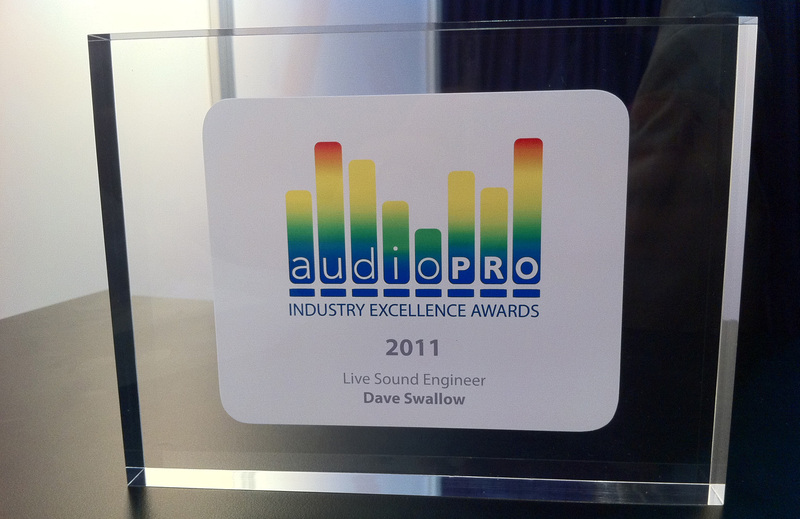 I was honoured, in 2011, to have been awarded with the Audio Pro Industry Excellence Award for Sound Engineer of the Year! Awards are one of those funny things where as much as it’s nice to get recognition for all the work you’ve done you can instantly think of 20 other people who deserve it more. But, who am I to argue with the Judges?